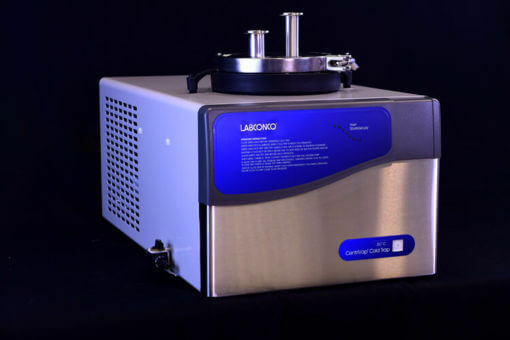 There are numerous laboratory grade cold traps on the market and everyone agrees they are a best practice tool for preserving/extending vacuum pump life or the time between vacuum pump maintenance. Cascade’s MAXTRAP50 is not an ordinary lab-grade cold trap. 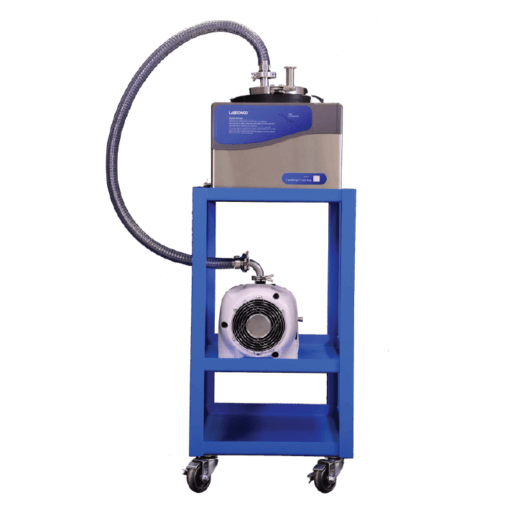 Cascade has taken our extensive knowledge of vacuum best practices and integrated the features necessary for our customers with time-sensitive, high-throughput, production-focused vacuum purging or drying applications. Cascade’s COLDWELL 304 Stainless Steel Trap – patent pending baffle system. At very cold temperatures, solvents and even oxygen can re-condense back into liquid. This is potentially explosive. Liquid oxygen is a light blue color and can condense into a cold trap if a pump has sucked air through the trap when the trap is very cold. Always follow your standard operating procedures and safety guidelines. Cold traps can become full or the captured material freezes and blocks flow. For high moisture, outgassing, 24 hour processing/vacuum purging consider adding a second, spare COLDWELL trap. The secondary COLDWELL can be dropped into place so processing continues while the full trap is cleaned, defrosted. The key to quality cold trap performance is: time, surface area, and temperature. Time: Most cold traps have very narrow inlets and outlets, slowing down your process. Not Cascade’s MAXTRAP50! Full KF25 inlet and outlet connections never reduce flow. Surface Area: Most cold traps have glass or a smaller surface area to collect the matter your vacuum pump would otherwise ingest. Cascade’s MAXTRAP50 surface area is a patent pending series of filter baffles inside the COLDWELL stainless trap. 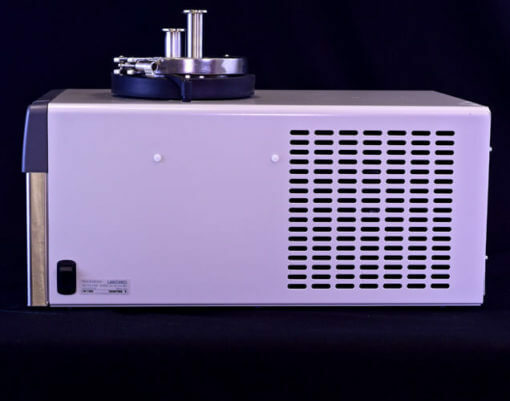 Temperature: Cascade’s MAXTRAP50 features the mechanically refrigerated system built in the USA by Thermo Scientific – a leader in laboratory equipment.